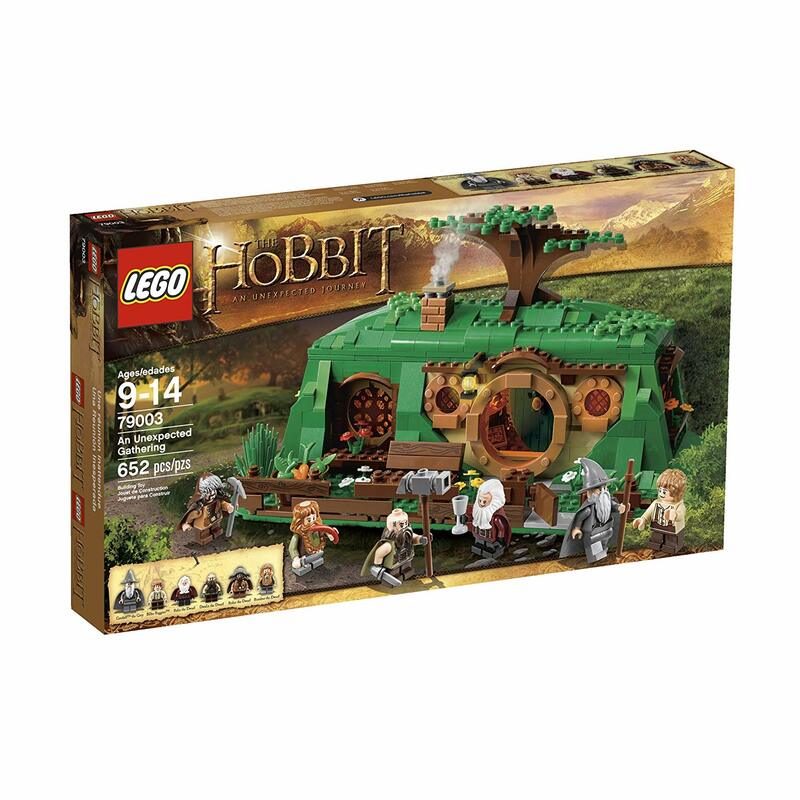 3 of the new Hobbit sets have shown up on Amazon, keep your eyes peeled for the rest to make their way for sale soon. The list includes: LEGO The Hobbit An Unexpected Gathering , LEGO The Hobbit Escape from Mirkwood Spiders , and LEGO The Hobbit Riddles for The Ring . They’re available directly from LEGO, too, at LBR stores and online. I saw all the new Hobbit range (including An Unexpected Gathering) in my local Kidstuff (Hastings) this afternoon – they’re usually pretty good at having new Lego in but they have no idea why everyone else doesn’t. I’m finding myself wanting two of An Unexpected Gathering sets because I can stop flipping it around! Both the front and back views are so great!